Just a quick update for the Yarn along over at Ginny’s because we hosted a little early Christmas dinner for some friends yesterday and everything not related to that dinner was neglected a bit. Therefor the late post. You know what is the great thing about a soccer game that my boyfriend is watching at home? I can go and sit on the sofa, listen to some audio book and knit while he’s in the kitchen watching tv. 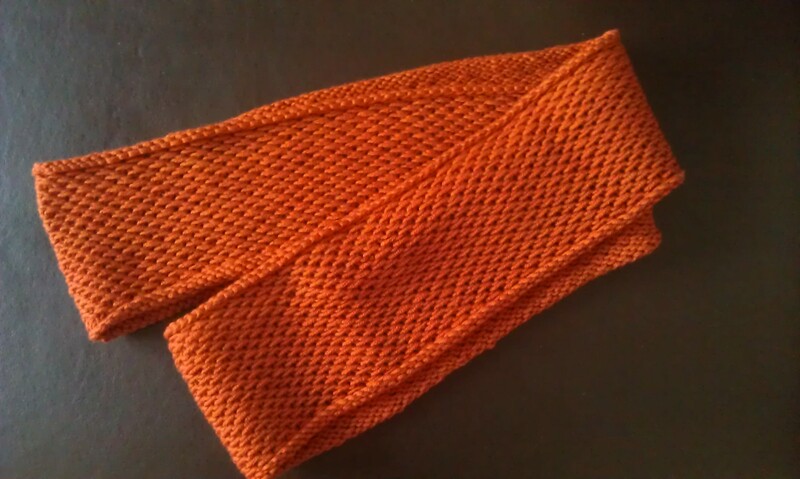 And when I’m on the sofa, undisturbed by tv I can knit on my colourwork. And that’s what I finally did yesterday. 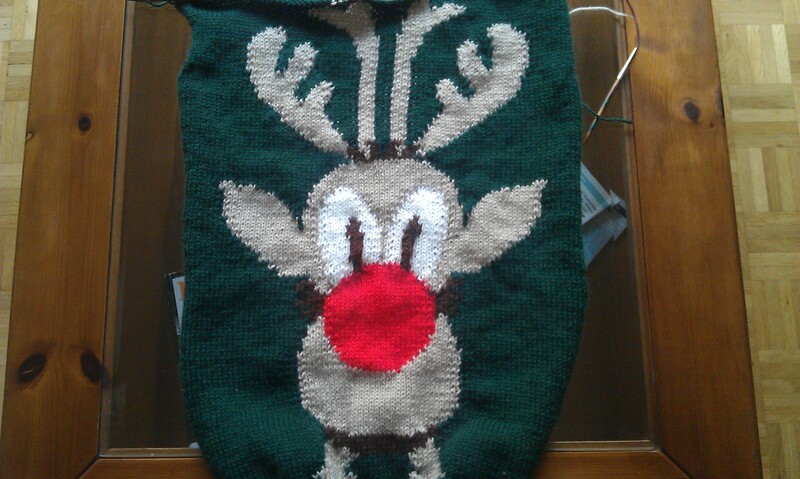 I finished the reindeer. I’m nearly done with the front. I just need to do the second part of the neck and shoulder shaping and the weave in all those ends… I should have take a picture from the back of the sweater, then you ‘d know what ‘m talking about. But hey, this means everything is still in time and if I weave, blog and sew quickly it will go in the mail by the end of next week and will arrive in time for his birthday on 3rd of December. Then I finished knitting the Toddler Cardigan. I’ll show you a picture of it, once it’s all sewed together and blocked which it isn’t yet. And because the sending off date for the Secret Santa Swap is tomorrow, I finished my gift. It’s pretty. Unfortunately I forgot to take a picture of the finished good but I wouldn’t be able to share it with you yet anyway. But maybe the receipient will take a picture of it that I can share later this year. At the moment, it is in the mail. Then I did some procrastination knitting because I wanted to avoid the christmas sweater. It has grown quite cold here and my hats were all so last year… Ok, when I first laid my eyes on the Schachenmayr Lova yarn on their US site I fell in love. Then I saw that the whole MyMountain range was coming to my LYS too but not the Lova colourway I was looking for. So I bought the yarn online. That was already some months ago. 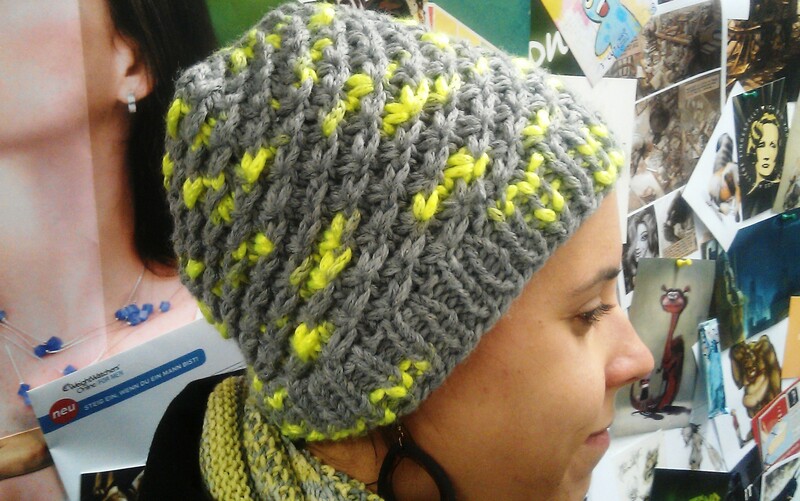 And now I did a really nice hat. It was a quick and simple 3-hours-evening knit and I love it. After that some more procrastination knitting: With some of the leftover yarn from the orange cardigan I did something I wanted to do ever since I joined ravelry: knitting a honey cowl. It looks very nice and will be a christmas present for someone (still have to decide for whome). And that was it for this week. No new reading and more details next week. This entry was posted in Knitting & Crocheting and tagged Cardigan, Cowl, Hat, Knitting, Sweater, Yarn Along by kathatravelling. Bookmark the permalink. hehehe the reindeer is fantastic!